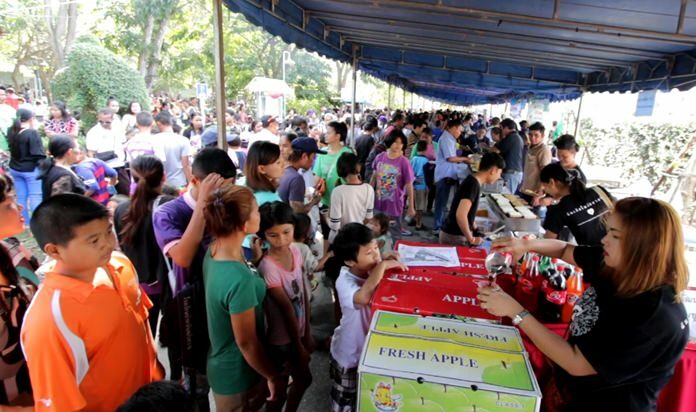 Nine area schools will participate in Nongprue’s official Children’s Day festivities Saturday by organizing activities, games and prizes and provide free food and beverages. Robots roaming a “future world” will highlight Nong­prue’s official Children’s Day festivities Saturday. Sub-district Clerk Teerawit Thongnok said Jan. 3 this year’s event at the municipal hall Jan. 12 will emphasize the government’s Thailand 4.0 policy to give children the opportunity to learn about modernization and automation. Nine area schools will participate by organizing activities, games and prizes and provide free food and beverages. The sub-district also will hand out 50 scholarships to poor students with strong academic records.